For my INANE week, I planned to be at the conference from Sunday through Wednesday, then take Thursday and Friday off to catch up and recuperate. 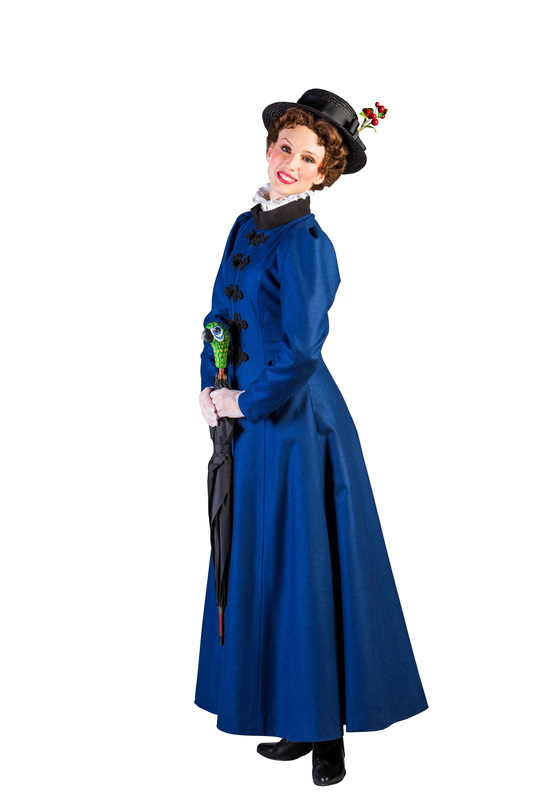 We had tickets to see Mary Poppins at the Ogunquit Playhouse last night and I have to say, the show lived up to Mary’s song of being practically perfect in every way. Although I am not one to blow my own horn I have to say, reflecting back on INANE 2014, I think the conference was also practically perfect in every way. 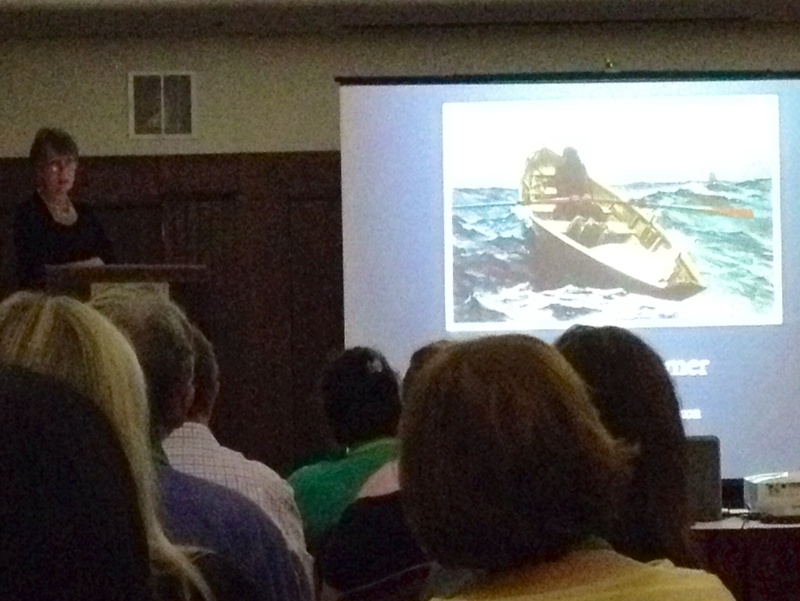 Yes, I know–the Atlantic Room was a tight fit (I knew that going in), and there were a few A/V glitches. 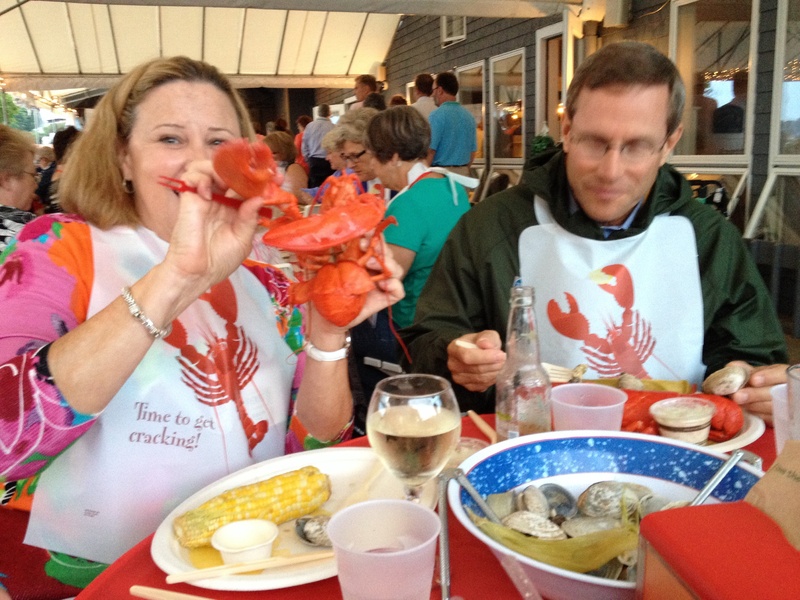 Graham Scott, please forgive me for your missing lobster at the lobster bake! But in the big scheme of things, the positives far outweighed the negatives and the evaluations I have received so far bear this out. I am very, very proud of what the Planning Committee helped me and INANE to accomplish this week. This was definitely a peak moment that will remain at the forefront of my memory for years to come. Shawn Kennedy made the comment that the sessions fed both the left and right side of our brains. I hadn’t thought of it that way (I kept using the words “art” and “science”). But one thing that struck me was that when you stimulate your right brain with some beautiful pictures of art or words of poetry, the other side opens right up and lets the information pour in. What a wonderful feeling that is! In my very first nursing class way back when, Mrs. Lona Moore stood up and said that all of nursing can be described in six principles. The first was “Teaching and Learning” and the sixth was “Infinite Creativity” (I have forgotten numbers 2, 3, 4 and 5). Infinite creativity has informed much of my nursing work over the course of my career and this conference was proof of that. But I have to be honest and say that I often see the creativity afterwards, not beforehand. 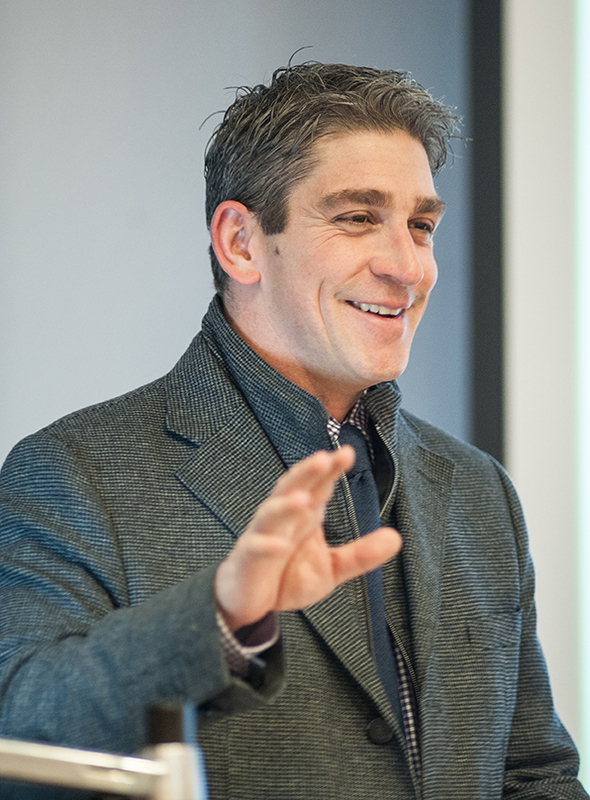 For example, an evaluation comment said, “Having poet Richard Blanco come to INANE was an INSPIRED choice.” Yes, he was, but when we extended the invitation I was thinking more along the lines of, “He’s a poet, he lives in Maine, and he’s sort of famous right now. Do you think he’d want to speak to us?” My point is that the creativity is often there but sometimes it needs to emerge like a butterfly from a cocoon for everyone to see it. I also have to say that you, my INANE colleagues, are an amazing group of women and men who also stimulate my brain to receive new ideas and information. I realized that I worked so hard on this conference because it is truly an honor and a privilege to be part of this group. 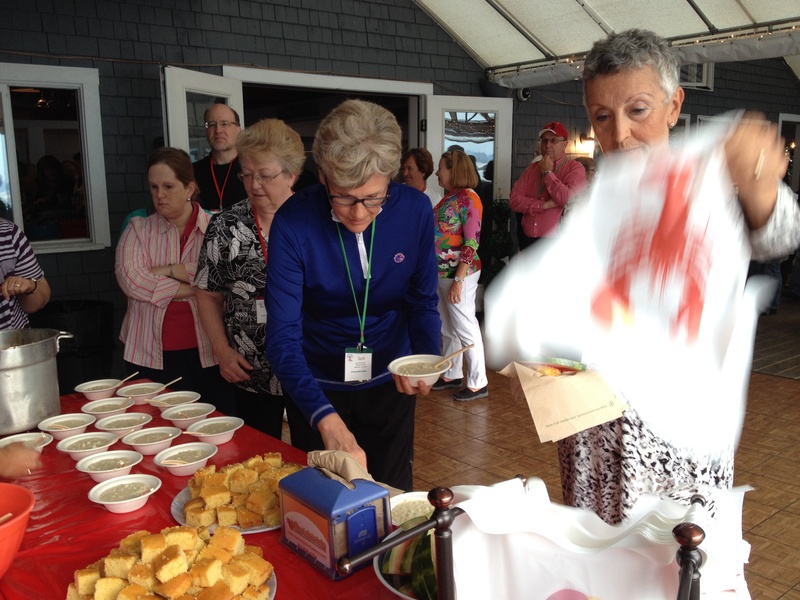 We all deserve the very best, especially for our annual meeting! With this post, I will be shutting down the INANE 2014 blog and moving to the INANE 2015 site. My thanks to Karen and Jackie for their live blogging posts–I enjoyed reading them and Jackie, I especially loved your pictures! At the new site we will be setting up a regular posting schedule (this past year it was every two weeks) to keep people informed about conference details and deadlines. 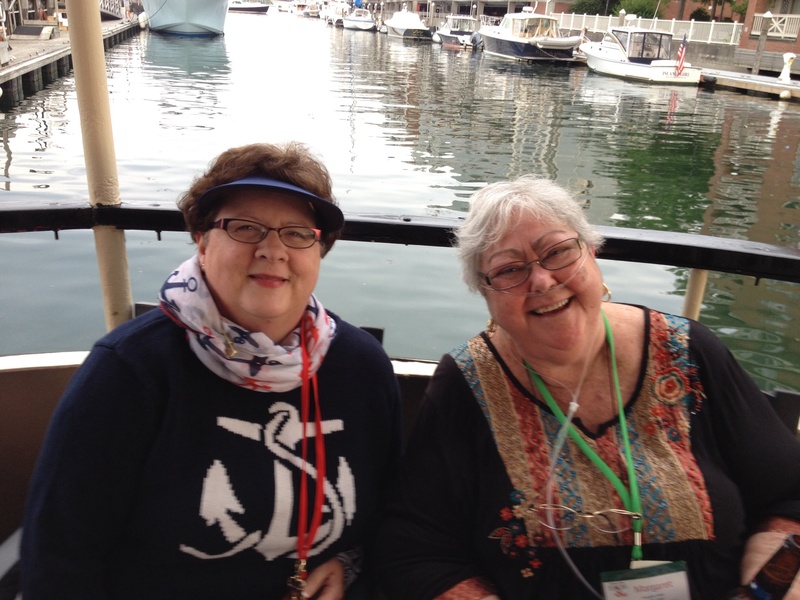 While I am on the planning committee for INANE 2015 I am going to step back from being “in charge” and work on other initiatives including INANE white papers (which I would like to publish in Nurse Author & Editor) and a possible revision of The Editor’s Handbook with Margaret Freda. If life is true to form, Amazon will release a new Kindle in September and I will spend the month of October scrambling to get the latest edition of Kindle for Dummies written in time for Christmas sales! The fun never ends! Thank you, everyone, for the trusting me to be the conference chair for 2014. It was an amazing experience and I learned a tremendous amount. I look forward to seeing everyone in Las Vegas next summer and many of you at the Academy of Nursing meeting in October. Until then, onward and upward! 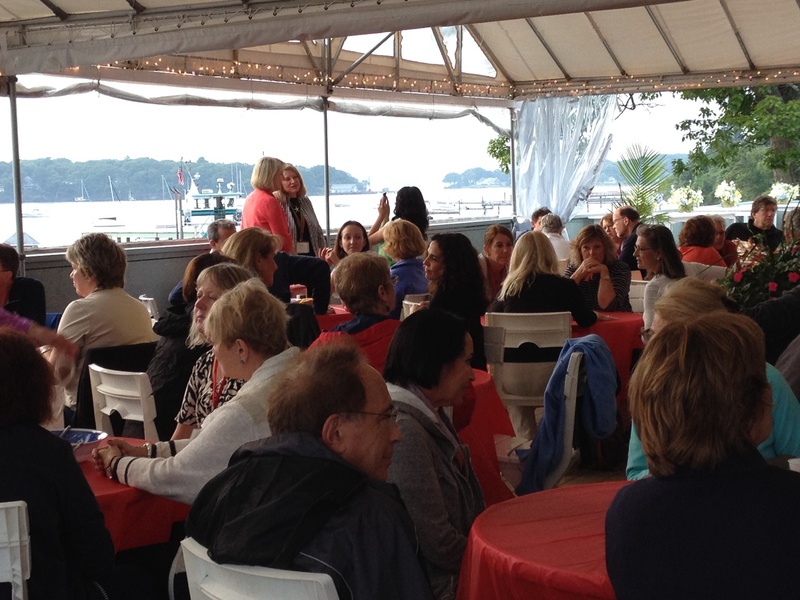 What a wonderful evening we had on the Islander Casco Bay cruise! Spectacular views. Scrumptious food. Perfect weather. Thanks so much to Leslie and the planning committee for a great conference from stem to stern! My pix are below. I was excited to get a photo with Margaret and so glad she is with us to enjoy this year’s conference. Did she really eat any of this lobster? I can’t wait to dig in! 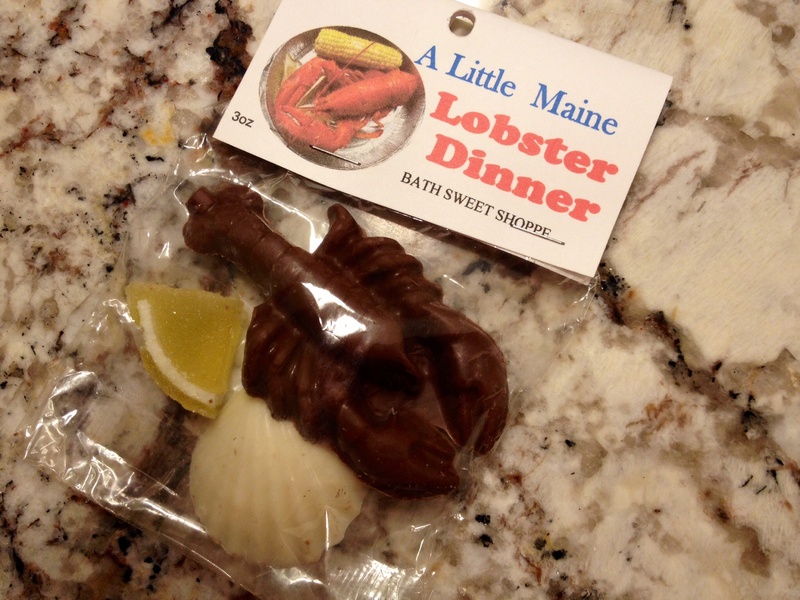 Now HERE’S a lobster dinner I can live with! 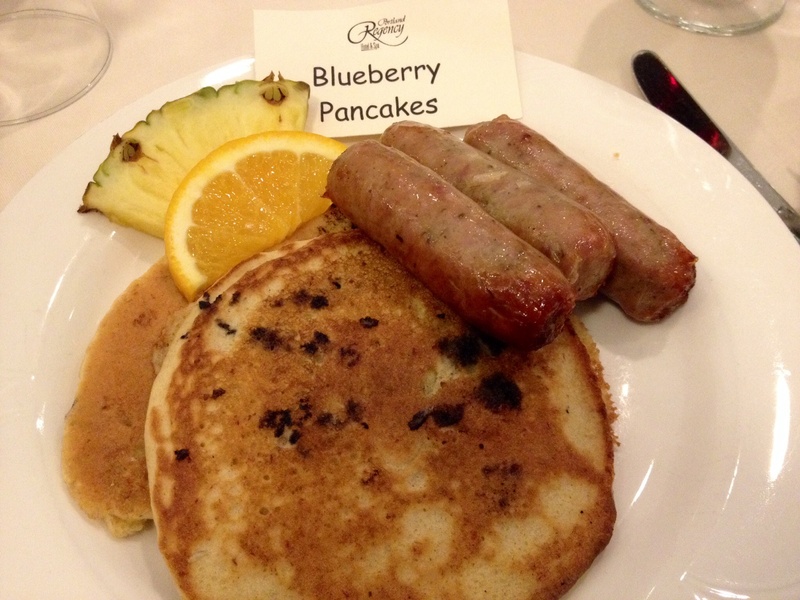 Maine blueberries – what’s not to love?? A few photos from today! Here are some pix from today’s activities at INANE in Maine. I hope YOU were able to join us! 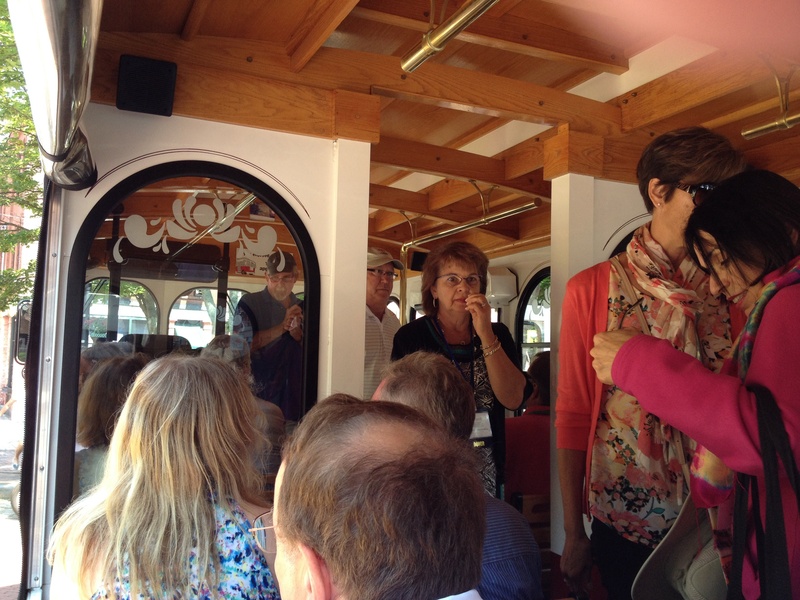 Photos from the trolley tour and our evening presentation. Also, my husband and I took a walk after the evening events. Found some tasty ice cream and checked out the pier – also found our boat for tomorrow evening. 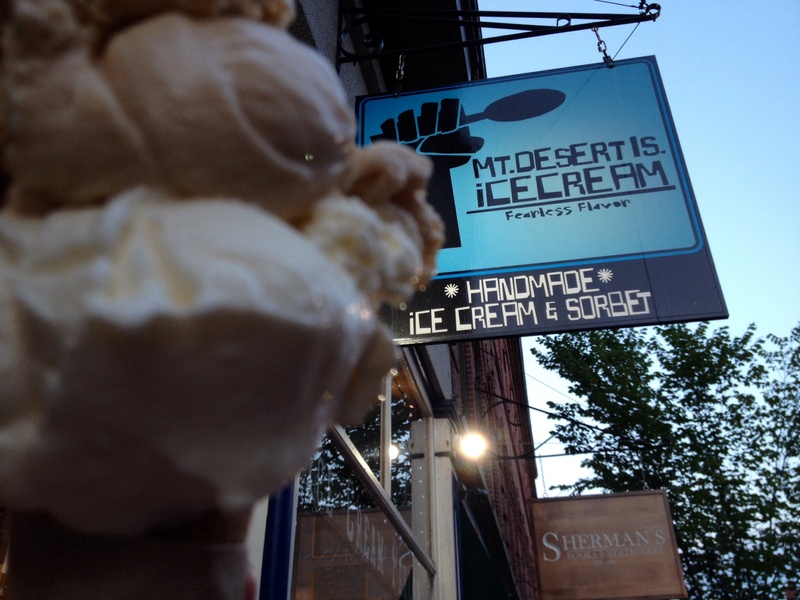 A scoop of Maine cream and one of butterbeer. Delicious! Leslie Nicoll introduces her sister Jessica. Our boat for tomorrow evening! 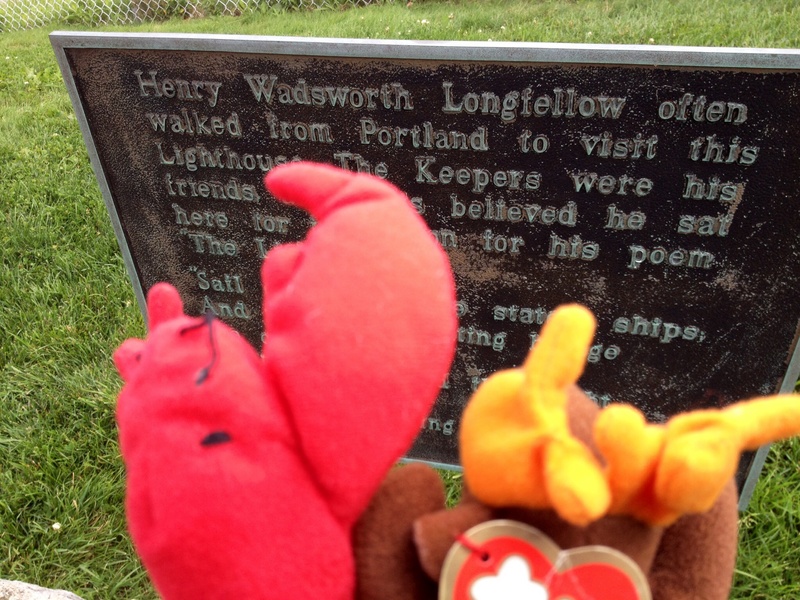 Marley and Longfellow at the lighthouse, learning bit of trivia about Henry Wadsworth Longfellow. 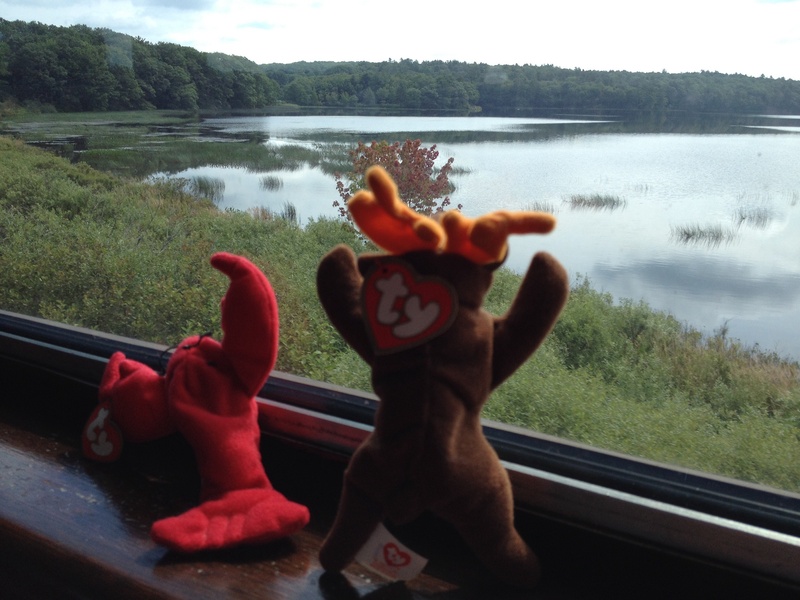 Marley moose – is that our trolley leaving without me? 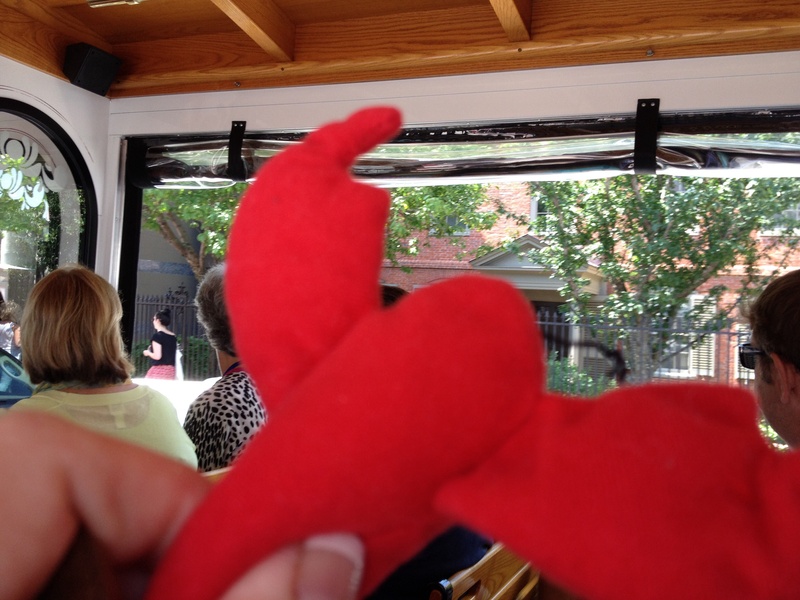 Longfellow lobster on the trolley tour – checking out the house of Henry Wadsworth Longfellow! 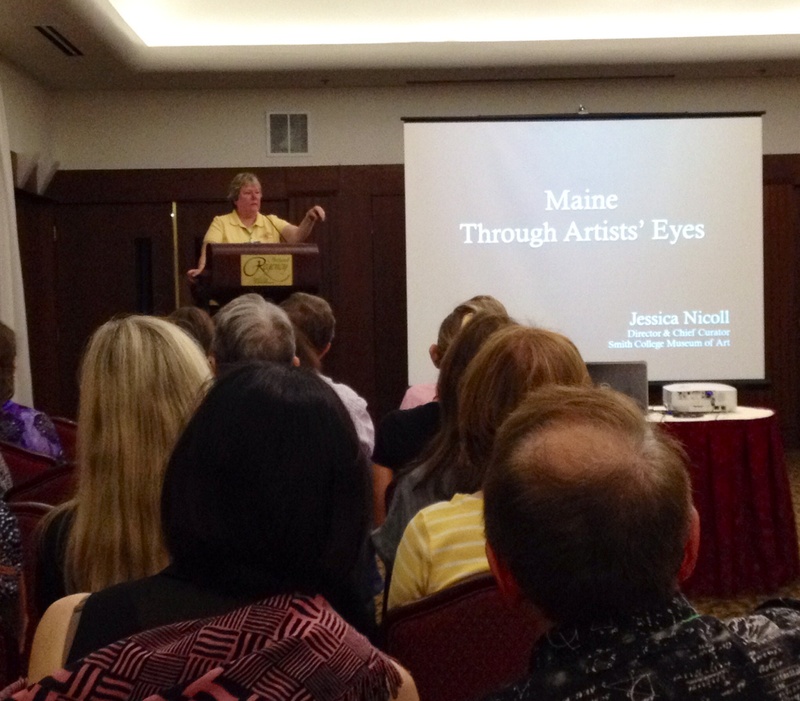 Jessica Nicoll’s wonderful presentation on art and Maine. 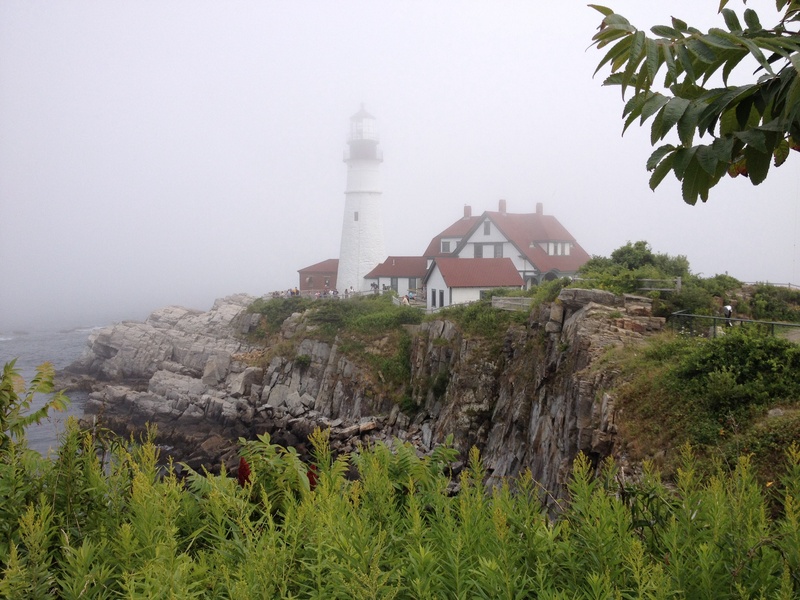 Portland Head LIghthouse – beautiful even in fog. 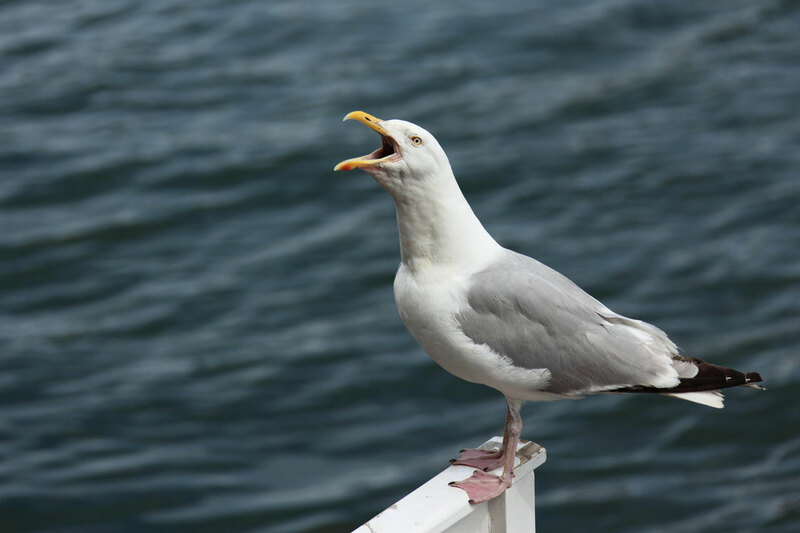 As I woke up this morning to the sound of seagulls screeching, I realized that I have never stayed at a hotel in downtown Portland. In fact, I am not sure I’ve even stayed at someone’s home here in the city. I live only 6 miles from downtown but it might be a world apart for the early morning sounds! I don’t hear seagulls–at least, not this many seagulls–at my little house out in the country. Plus the other noises seem much more urban–trucks, cars, planes (well, I do hear planes at my house). I haven’t heard any ambulances or fire trucks, though. I am sure folks from big cities are laughing as they read this. I bet Portland seems quiet and quaint compared to the raucous noise of New York City or Chicago! Still, I am surprised at how different it is from my usual morning nature’s melody wake-up. I am enjoying a cup of coffee and then will be heading down to the lobby to set up the registration table. zKipster is working great–we registered 76 people in two hours yesterday! It was great to see so many friends and say hello! Some people have meetings this morning but don’t forget: the conference officially opens with the Discover Portland Trolley tours which start at 1:30 pm. 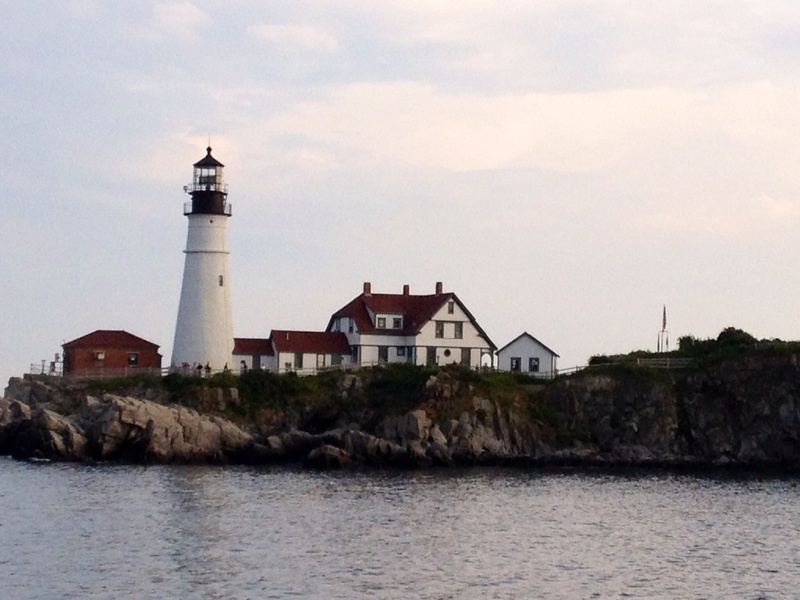 The weather report is great–it will be a perfect day for a scenic tour of the city and Portland Head Light. 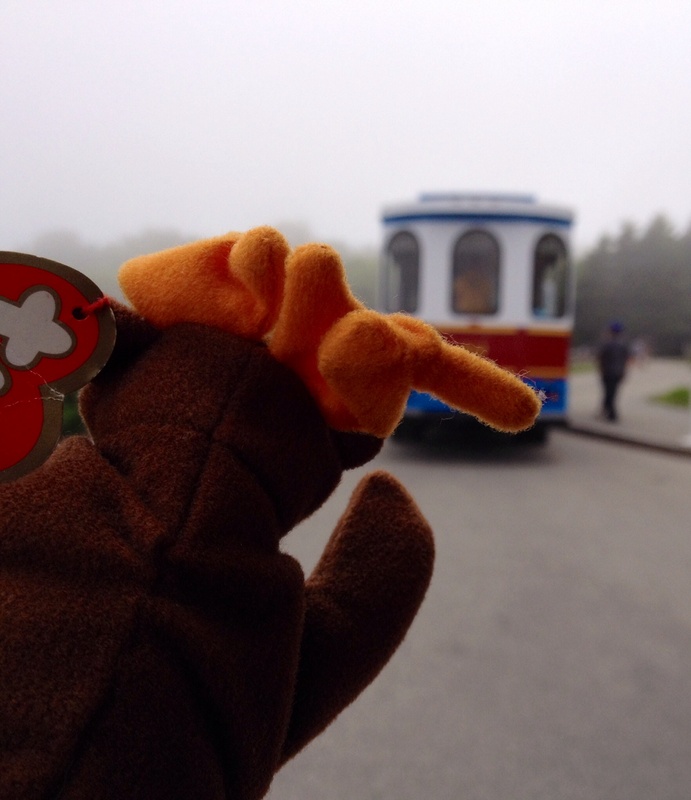 If I don’t see you at registration, well…see you on the trolley! Hello everyone and welcome from me to INANE in Maine! I am Jackie Owens, editor of OJIN: The Online Journal of Issues in Nursing. I will be live blogging during the conference and hope some of you can follow my adventures. I’m fairly new to blogging, and due to a tech glitch, missed yesterday – so tonight’s post is a two-in-one event. I like to take photos, so hope to add some visuals to my posts as I can. My first pic is to introduce you to my Maine men. My husband is with me. You’ll likely meet him later. 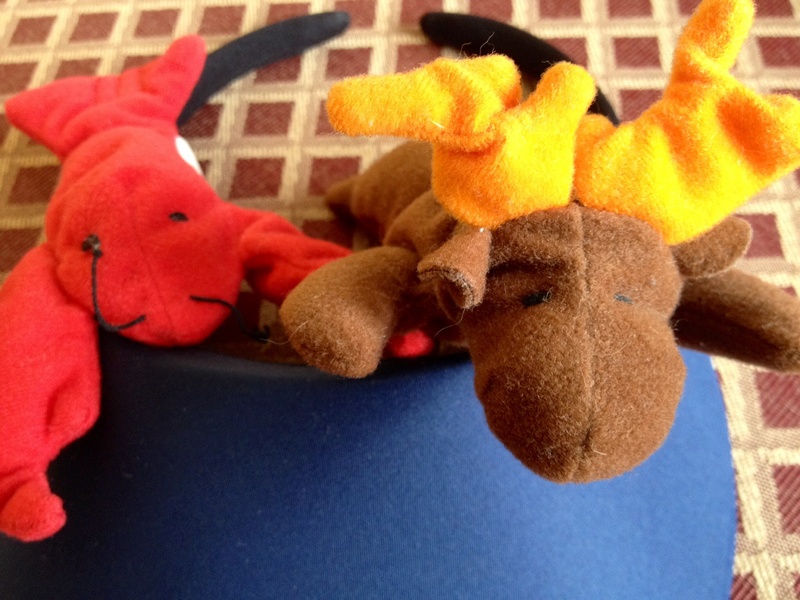 But also with me are my lobster, Longfellow, and my moose, Marley. I did a bit of reading up on the state before my arrival (see photo), and decided to name them after a few famous Mainers! 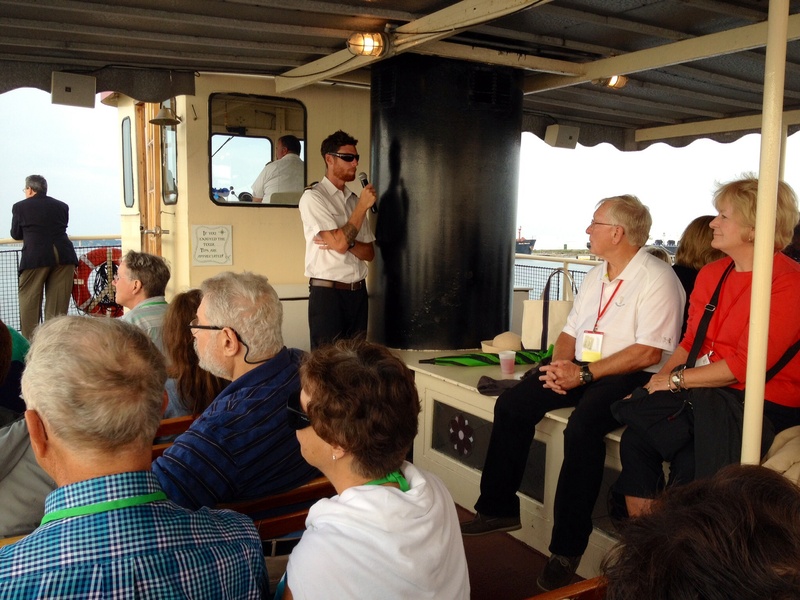 We have already had a few preconference adventures, including a trip to L.L. Bean (don’t worry, I left a few things for those of you headed there on Wednesday). 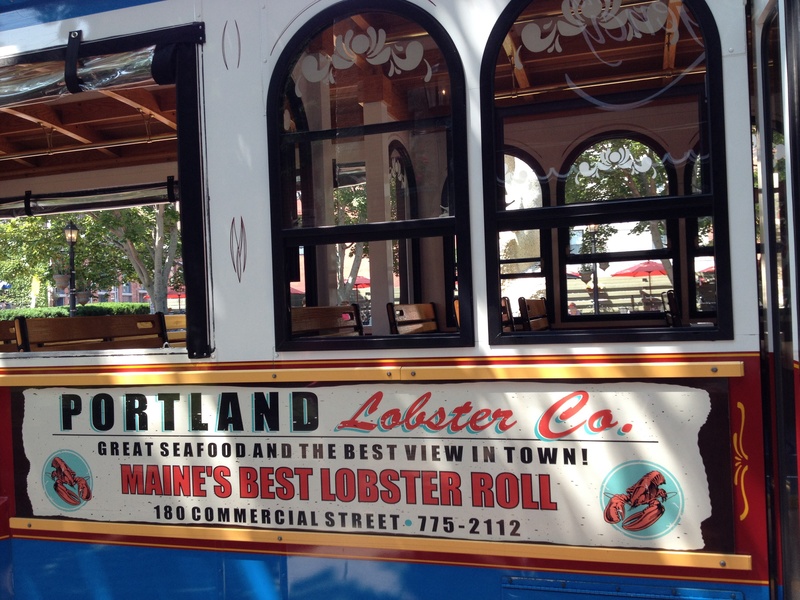 We also enjoyed a lovely ride today on a vintage train from Brunswick to Rockland, complete with a visit to the Maine Lobster Festival! Here’s a photo of my husband’s lunch, a lobster roll, and one of Longfellow and Marley enjoying the Maine coastal scenery with me. 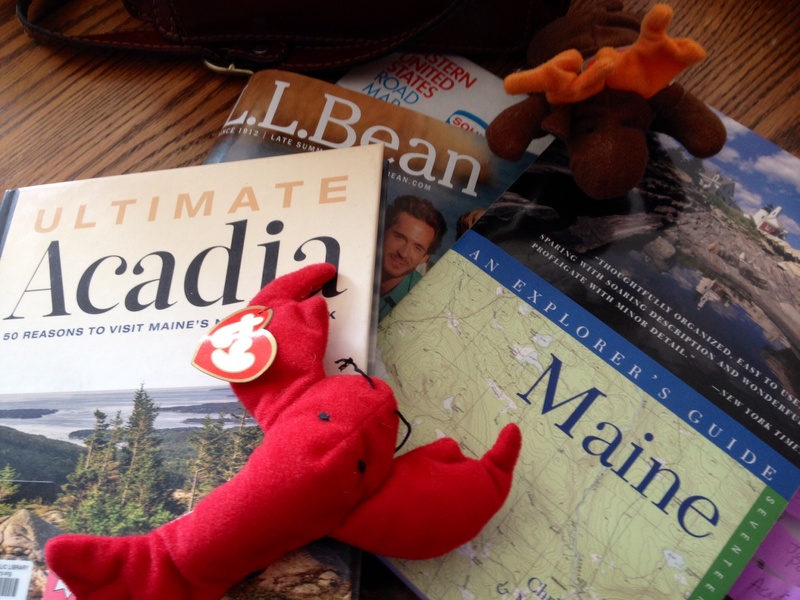 I have been eager to visit Maine for some time, so am thrilled for an INANE conference in Portland! A great time already – how about that wonderful L.L. Bean tote! Clearly Leslie and the conference planning team have left no stones unturned to make it yet another great year! I am ready to rest up for tomorrow’s activities, but before I go, if you haven’t checked out the Guidebook option to track the conference activities, I highly recommend it. One less paper with your sessions scribbled on it stuffed in the back of your name badge holder! Hoping to see some good friends, and make some new ones! INANE 2014 is underway! This afternoon I arrived at the Regency and met up with the members of the planning committee. We unpacked boxes, filled LL Bean bags with great treats and got ready for registration. Registration was supposed to begin at 5 pm but looking at the stats on zKipster, we had already registered 5 people before we even officially opened! As of right now 75 out of 183 people have registered (the latter number includes guests)–about 41%! We’ll be opening registration at 8 am (or so) tomorrow morning for folks who want to sign in before a Publishers and Editors meeting. There will be at least one person at the registration desk throughout the day. Raffle tickets are popular! Everyone who sees the one-of-a-kind green L.L. Bean bag filled with great goodies, wants to own it! We have no limit on the number of tickets that will be sold so stop by and buy a ticket or two–without a ticket, you’ll never be a winner. Proceeds benefit the Internet Services Workgroup. The drawing will be on Wednesday morning at breakfast. 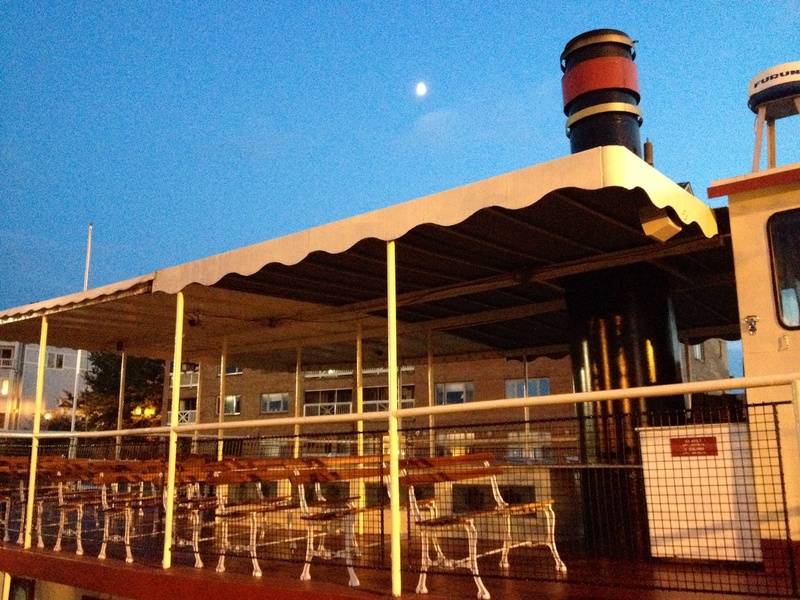 The weather report for tomorrow is great–perfect weather for a trolley ride. The rides are included as part of your INANE registration so please make sure to hop on the bus. Trolleys will be leaving from the front of the Regency hotel at 1:30, 1:45, 2:15, 3:30, 3:45 and 4:00. Each trolley holds ~32 people. 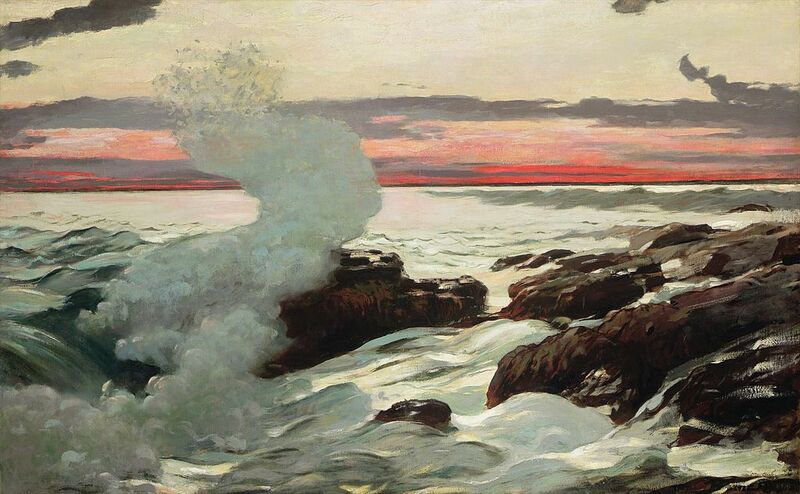 This will be a fun tour with history of the City of Portland and a visit to Portland Head Light in Cape Elizabeth. Don’t miss out! I am off for dinner…I just realized, I didn’t have any lunch and I am hungry! Have fun this evening, everyone, and see you in the morning! In the midst of planning nine million details, the one thing I never thought of was having a photographer on site. Oh well, too late now but fortunately, there will be enough iPhones and iPads on the scene that we should be able to muster up some photos to document the conference. This is an invitation to everyone to snap a few pics to share with the group via this blog and our Facebook page. 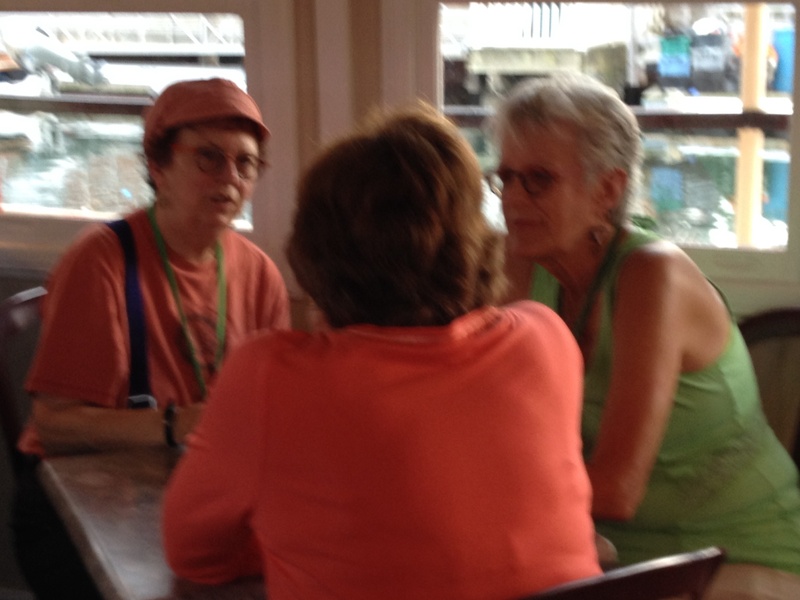 People can also share pictures through Twitter: @INANEEditors, #INANE2014. We also need to figure out a time to take our annual editor group photo–an INANE tradition! 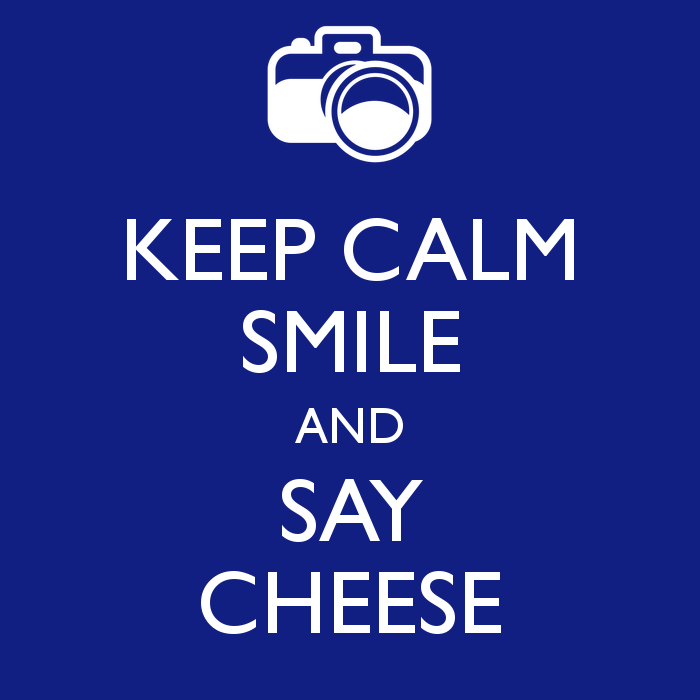 If you have ideas or like to take pictures, send me a message. Thanks! It smells so good here! Off on a sightseeing day. Don’t know where we’ll go. Love your state. I am heading downtown in just a little while. I am looking forward to seeing my friends and colleagues as everyone arrives for the conference! Weather, Travel, and Getting Excited! We are close enough to the conference that I think I can trust the weather widget on my iPad which is predicting sunny with a few clouds and temperatures in the 70s for all three days of INANE. Hooray! Fingers crossed that this prediction holds true. While I enjoy a good rainy day, I wasn’t enjoying the idea of sightseeing on the trolley in fog or worse (although they do have plastic windows that roll down in case there is precipitation). People are starting to arrive in Maine. 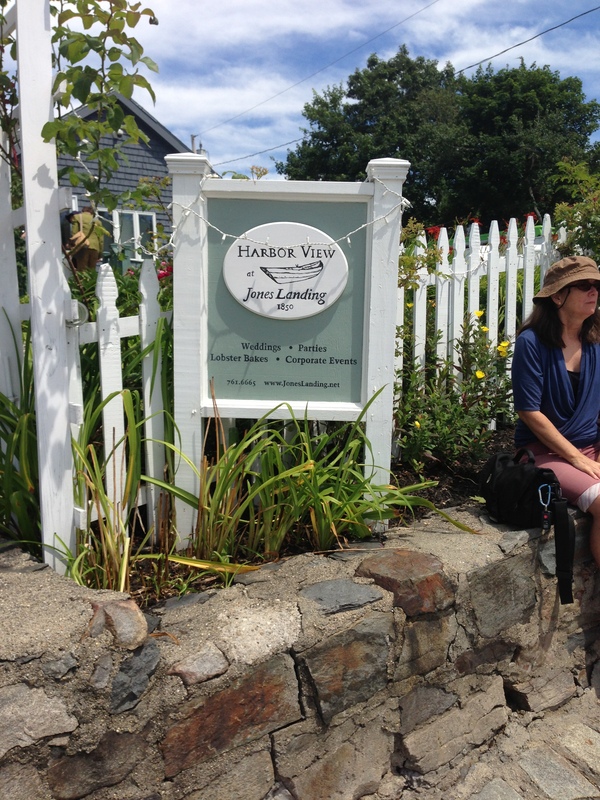 I’ve heard from Francie Likis who is up in Bar Harbor right now. Tina Marrelli is visiting friends at their camp in Springvale. Jackie Owens is on the road from Ohio. 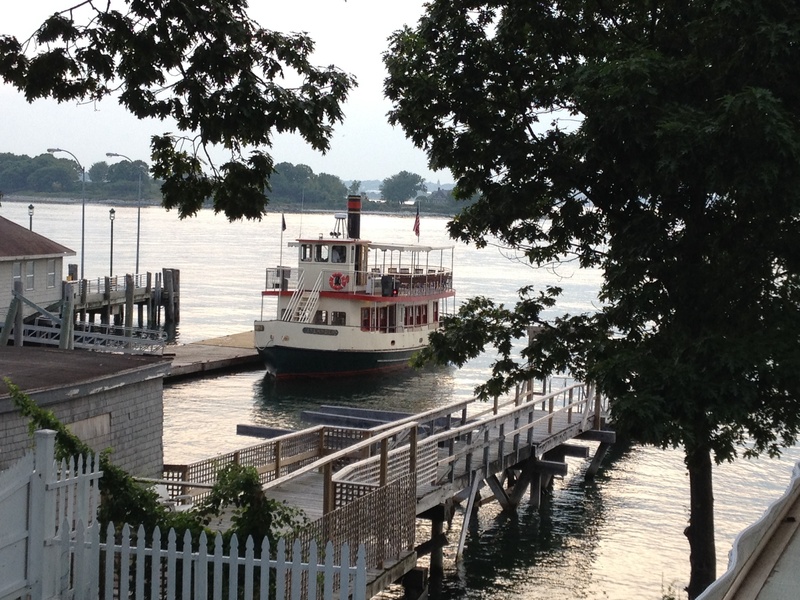 She arrives in Maine tonight and then tomorrow is taking the train to the Lobster Festival in Rockland. I never knew such a train existed but it sounds like a blast–I am keeping it in mind for a future day trip. Custom INANE tote with goodies that have been received so far! The last shipment of L.L. Bean bags arrived on Thursday. They are beautiful! Attendees will have a choice: blue trim with short handles, blue trim with long handles, or red trim. Think about which one you want. And don’t forget the totally unique, one-of-a-kind collectible GREEN bag that will be raffled off. Tickets will be on sale at registration. The winning ticket will be drawn on Wednesday morning. 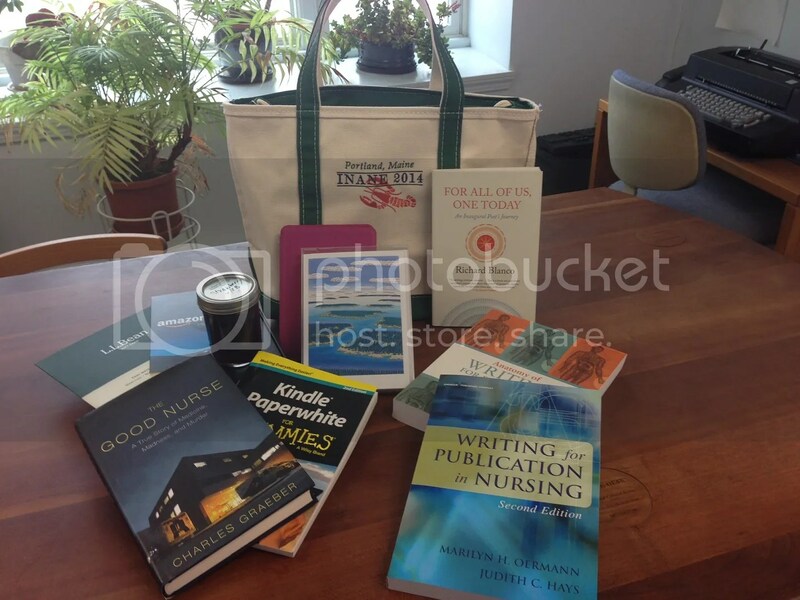 The bag includes lots of great stuff including books by Richard Blanco and Charles Graeber–the winner will be able to have both signed on Wednesday at noon! 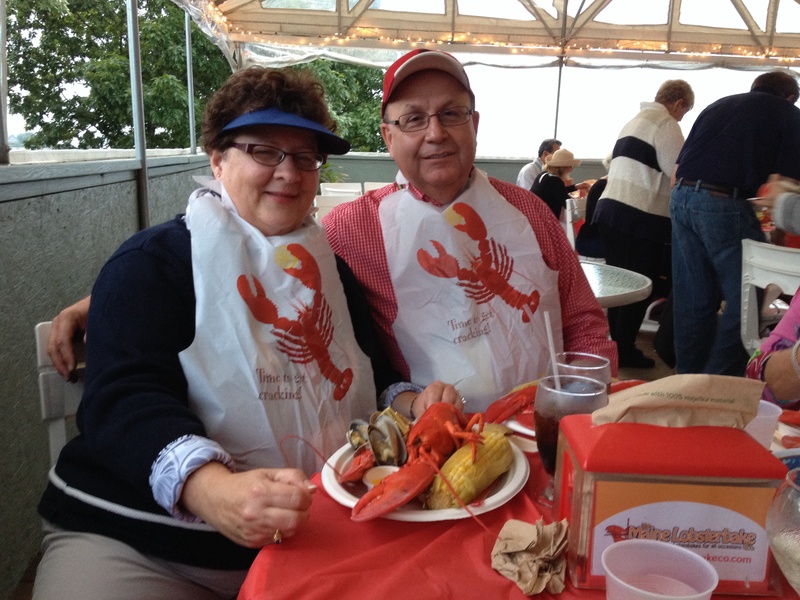 The Lobster Bake (Tuesday evening) and Closing Luncheon (Wednesday) are both sold out but there is still room on the bus for Freeport Shopping (Wednesday afternoon). If you are interested in buying a ticket, ask at registration. Cost is $20. That’s it for now. I look forward to seeing everyone, starting tomorrow. If you have any questions or need more information, please feel free to send me a message. I am here to help! There’s Room on the Boat! 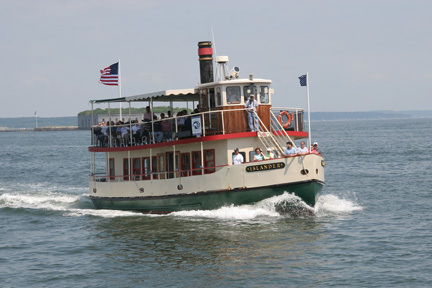 Forty-five minute narrated cruise of Casco Bay on the Islander. The cruise includes two free drinks! 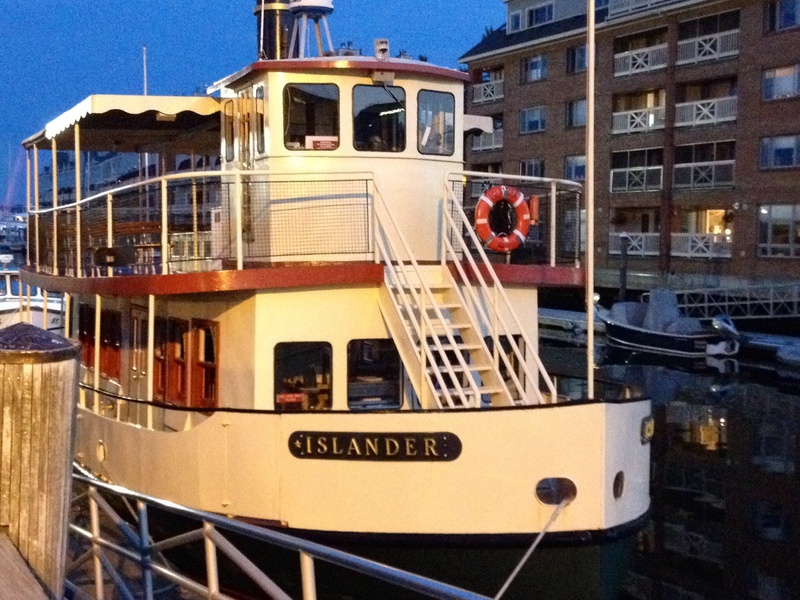 The Islander will dock at Peaks Island for dinner. 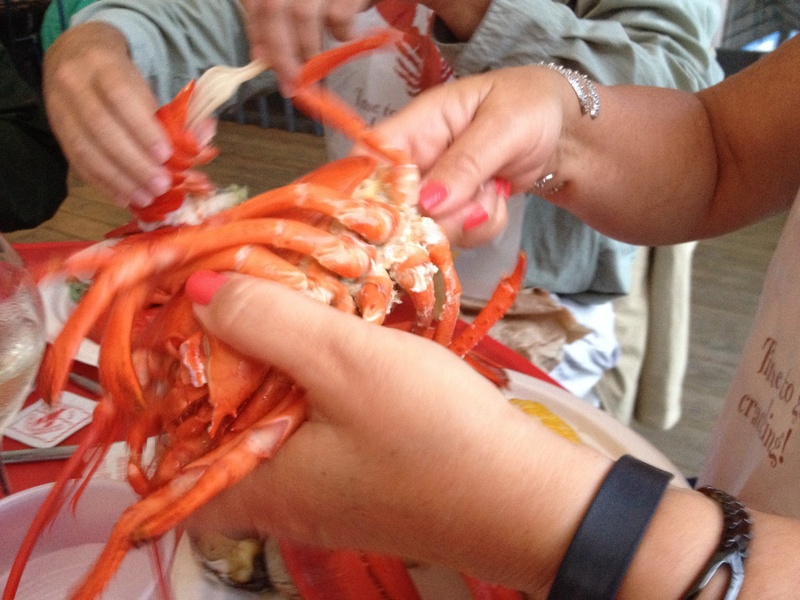 Traditional Maine lobster dinner at HarborView at Jones Landing on Peaks Island. The facility has a beautiful view west looking at Portland–we’ll also enjoy the evening sunset. My weather widget is predicting nice weather for next Tuesday–fingers crossed! 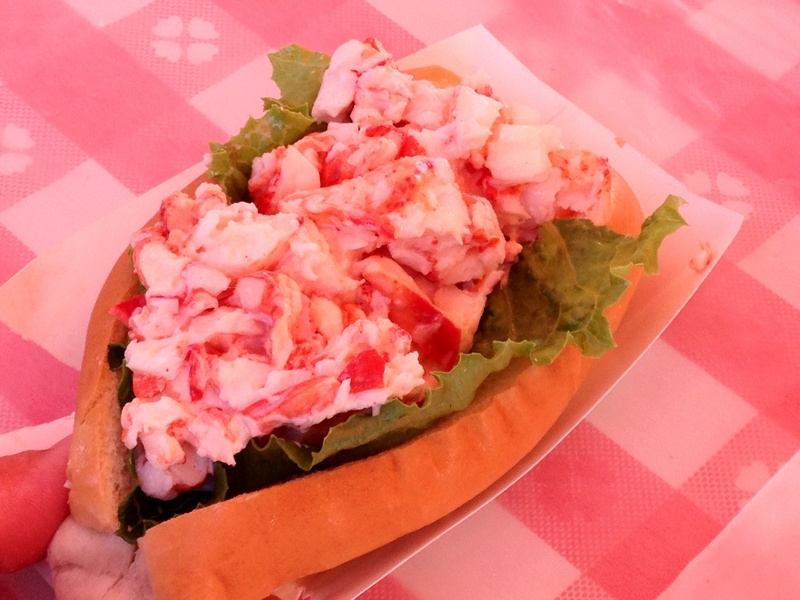 Dinner menu: clam chowder, steamer clams, steamed lobster, corn, cornbread, coleslaw, and Peaks Island blueberry cake, all catered by the award winning Courtney MacIsaac of the Maine Lobsterbake Co.
We’ll depart from Long Wharf at 6 pm and be back at the Regency by 10 pm. 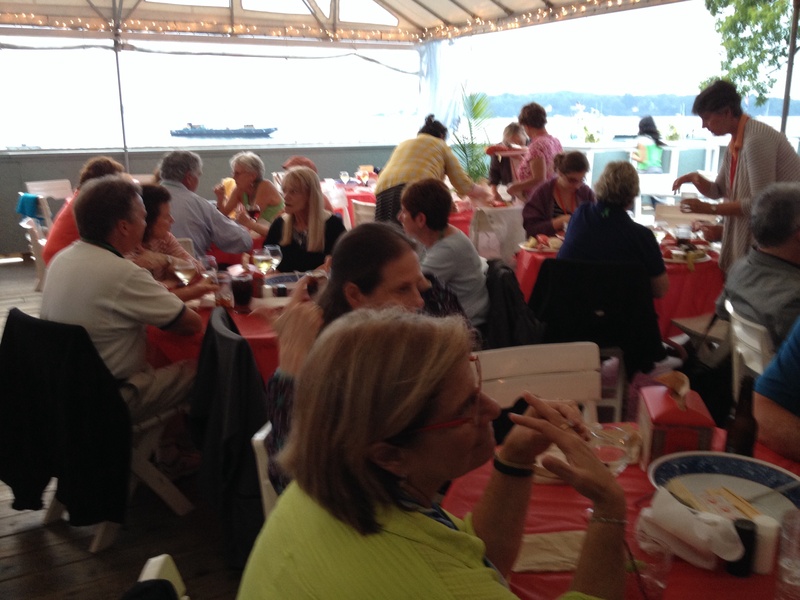 If you are interested in joining the cruise and dinner, send me a message by clicking here. Thanks!